Does Ignite Spot Have Setup Fees? We hate setup fees just as much as you do, so we do our very best to make them disappear. It's not always possible though. 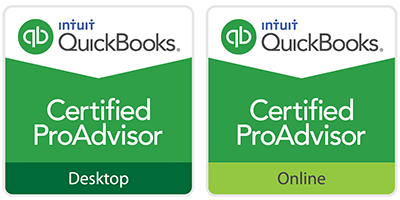 Unless your books are significantly behind, or you want us to do a big one-off project like switch you to a new accounting platform, we have no setup fees. 30 days. In other words, if your books are current within 30 days, we don't charge a setup fee to get them caught up. If they are behind more than a month, we would need to charge a fee just to cover our staffs time to get them current for you. Usually this fee is 40% of your standard monthly fee with us multiplied by the number of months behind. Why don't you charge setup fees on all accounts? When you get a new accountant, the last thing you want to deal with is a setup fee. We put a lot of time and energy into our relationship with you and it shows since we don't have any long-term contracts. Our hope is that we can prove to you that we're a good fit and that we can do it quickly. We're investing in our relationship with you. What's with the brussels sprouts in the video? Our CEO Eddy Hood hates brussels sprouts and it was the one thing he could think of that was comparable to paying setup fees for an accountant. No matter how you cook them, they're terrible. Sorry brussels sprout lovers, but you're wrong on this one. We had a business owner call us up one day and ask if we could get his books current before he signed on. He stated that he only had one banker's box full of documents so we happily took the project without a setup fee since he was within 30 days of being current. On the day we were scheduled to get started, a moving truck pulled up in our parking lot and four men unloaded 34 banker's boxes in our office. Needless to say, we called him back and charged a setup fee. Then don't forget to watch the rest of our getting started video series.